A customer favorite! Made of super soft and absorbent organic cotton, these knit burp cloths are a must have essential when feeding your newborn baby. 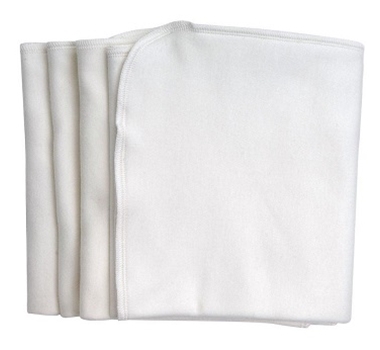 Simple and effective, they're gentle on Baby's skin and available at a great value in a pack of four.